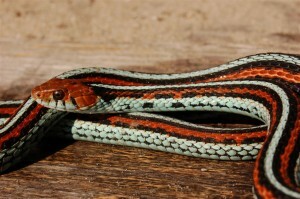 The Common Gartersnake is without a doubt the most popular gartersnake species. 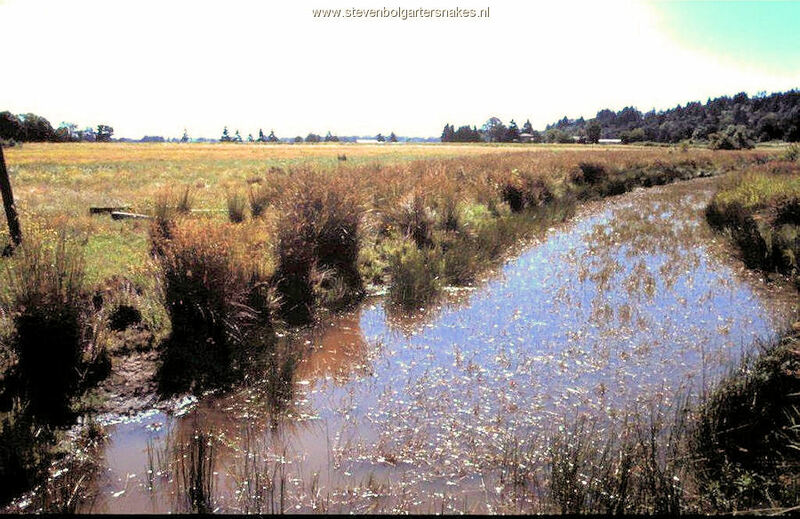 This species is highly variable both in appearance and in habitat usage and it is a true generalist. Thamnophis sirtalis has many subspecies, some occurring in a very small geographic area and some occur over very large areas. Currently approximately 12 different subspecies are described: Thamnophis sirtalis annectens, T.s.concinnus, T.s.dorsalis, T.s.fitchii, T.s.infernalis, T.s.pallidulus, T.s.parietalis, T.s.pickeringii, T.s.semifasciatus, T.s.similis T.s. sirtalis and T.s.tetrataenia. 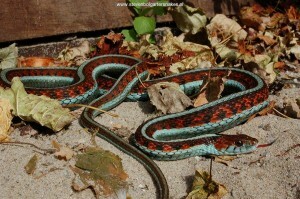 It is one of the larger gartersnake species and in some literature a record length of 130 – 140 cm is mentioned. But the average length is far less and normally you rarely see snakes of more then 1 meter in length. Thamnophis sirtalis remains thinner then Thamnophis eques. Thamnophis sirtalis occurs in a very large part of the USA from coast to coast and from north to south. The species occurs in just a small area in Mexico and in large parts of Canada. Thamnophis sirtalis is the snake that occurs farthest north of all snake species in Northamerica. The species lives up north in areas where the activity period can be as short as 3 months. In southern Florida the species can be active year-round. The snakes can live at sea level but also occur high in the mountains. Some populations are highly aquatic, especially on the westcoast of the US. Other populations occur in drier habitats. So especially for Thamnophis sirtalis it is crucial to know where the snakes originate from in order to keep them in a way that reflects their lives in wild. 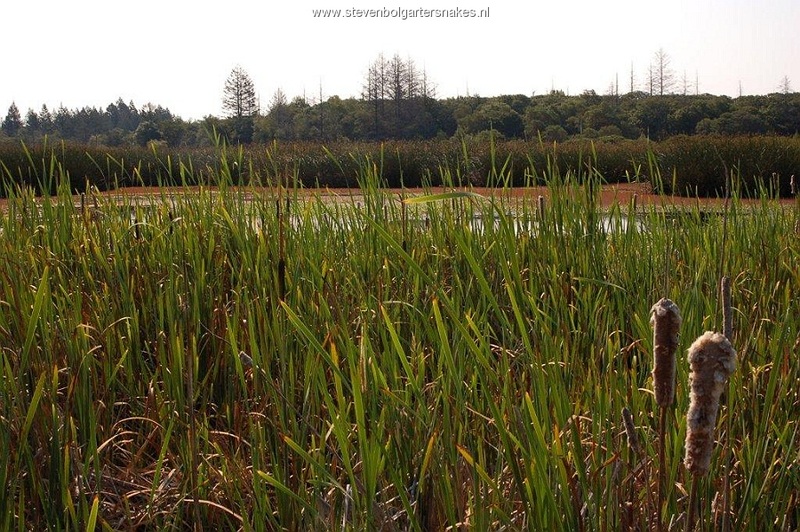 Thamnophis Sirtalis Infernalis, natural habitat of T.s.infernalis in Sonoma County. Thamnophis sirtalis is highly variable throughout its range and also within certain subspecies. Visual identification without knowing the origin may be challenging, since certain specimens of for instance Thamnophis sirtalis parietalis, T.s.sirtalis, T.s.pickeringii and T.s.fitchii may all look very similar. It is very likely that people have misidentified the correct subspecies they are keeping, especially since many reptile shops misidentify the correct species or subspecies. Almost all subspecies have well defined stripes on the back (with the exception of some specimens of T.s.pallidulus and T.s.sirtalis). Some subspecies have very striking coloration with beautiful red, yellow, blue and black colors, especially those occurring on the westcoast. 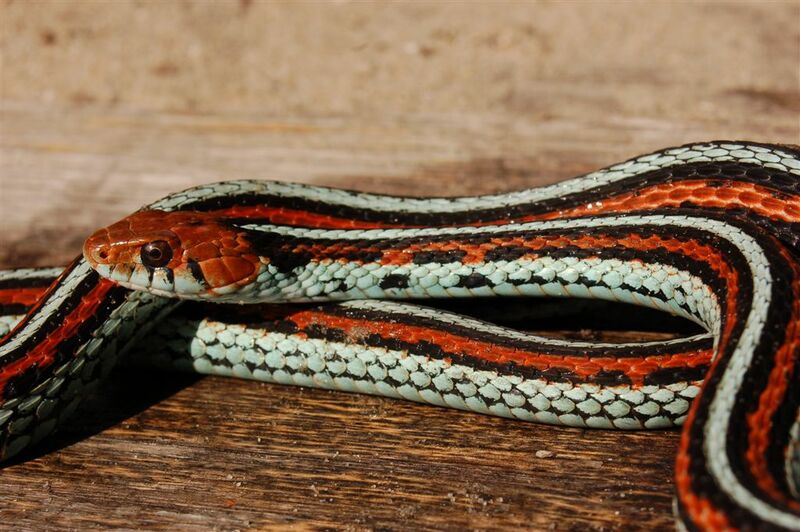 Many gartersnake enthusiast consider T.s.concinnus, T.s.infernalis, T.s.pickeringii and T.s.tetrataenia to be the most beautiful snakes on earth. Some specimens have such a marvelous coloration that it makes you wonder if such beautiful snakes can really occur in the wild. The Common Gartersnake does well in captivity. Minimum size to keep one adult couple is 60 x 50 x 50 cm. They do well in a dry and well ventilated cage with just a water bowl for swimming and drinking. Local temperatures in the terrarium should rise to 30 – 35 °C. But it is important to offer them a relatively wide temperature range so the snakes can choose their optimum temperature. Thamnophis sirtalis seems to be sensitive for keeping them too warm, so make sure there is a cool area in the terrarium where the temperature does not rise far above the 25 °C. 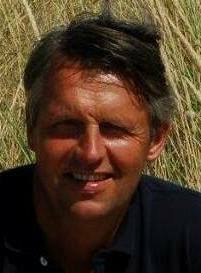 Hibernation is a must for all subspecies (in my opinion), but duration may vary from 2 – 5 months depending on origin of the snakes. 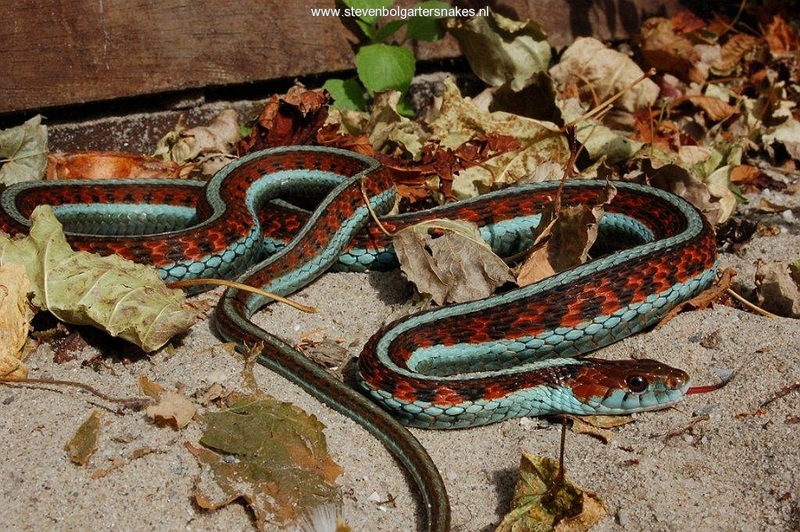 My article about Thamnophis atratus atratus (that can be found online both in dutch and english on this website) can serve as a general recommendation (care sheet) how to take care of all Thamnophis sirtalis subspecies.